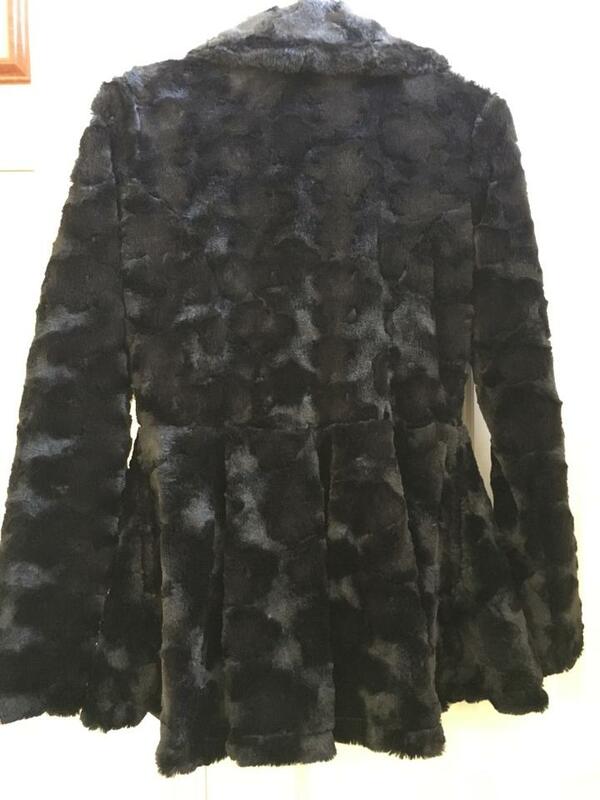 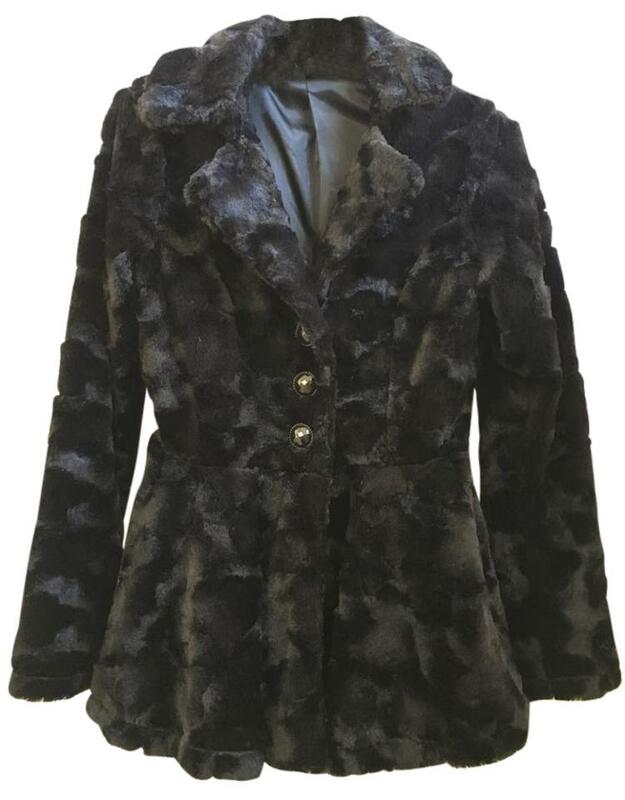 Black faux fur jacket with 3 black buttons front. 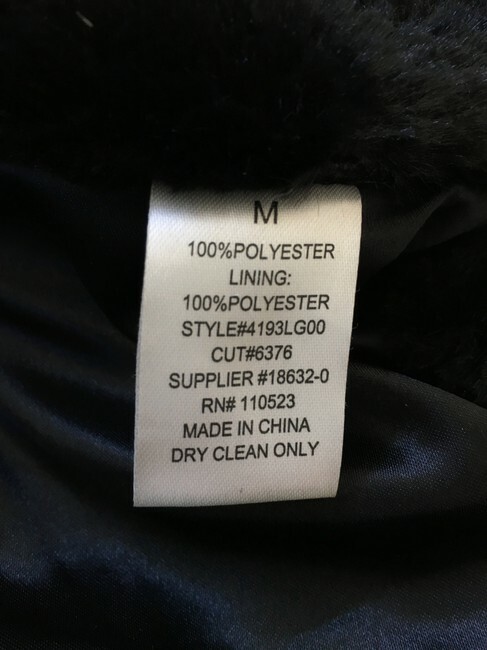 This jacket is solid black, the photos show a shading effect that looks multi color however, it is all black. 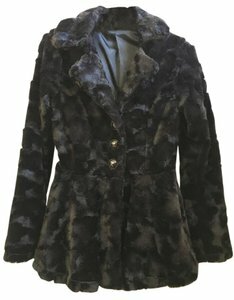 From pet and smoke free home, excellent condition.